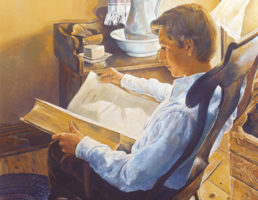 Mindful of the multitude of responsibilities of interviewing, teaching, training, and edifying that face new mission presidents and their wives, Elder Dieter F. Uchtdorf of the Quorum of the Twelve Apostles identified a simple target and bull’s-eye for focus. “The interconnected teachings of the two great commandments and the great commission are the bull’s-eye for mission presidents and companions,” he said. 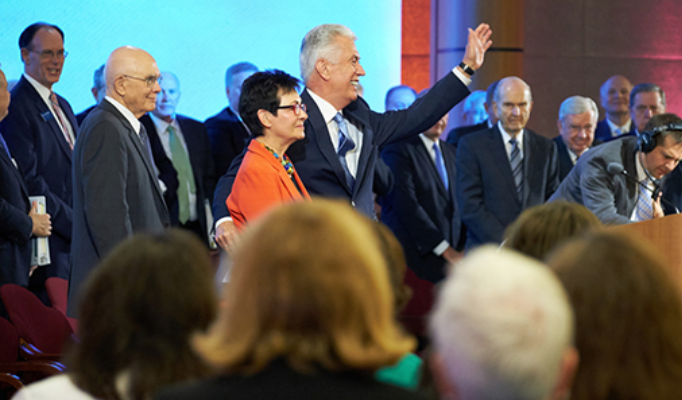 Named as chairman of the Missionary Executive Committee earlier this year, Elder Uchtdorf spoke Sunday morning, June 24, to the 112 new mission presidents and their wives attending the 2018 Mission Leadership Seminar at the Provo Missionary Training Center.